Based on Jean Webster’s 1912 novel, this musical two-hander stars Megan McGinnis as Jerusha Abbott, an orphan with a mysterious benefactor who is not the elderly man she imagines but a privileged younger man who has heretofore cut himself off from emotional connection. Director John Caird’s book honors the epistolary form of its source, and the two protagonists -- Jerusha and her mentor Jervis Pendleton (beautifully played by Adam Halpin) -- speak (or sing) through their letters throughout the evening. Paul Gordon’s music and lyrics tell the story in the same astute way as his 2001 “Jane Eyre”; he has a real knack for this sort of material. Though not period sounding -- ideally, the melodies ought to have the lilt of, say, Ivan Caryll or early Jerome Kern -- and yet, they somehow don’t sound at odds with the material. Apart from the Fred Astaire-Leslie Caron musical film (which, for all its charms, bore scant resemblance to its source), there was “Love from Judy,” a 1952 British musical with music by Hugh Martin which, based on the cast recordings of the time, sounds bland and exceedingly dull. This version has far more integrity. Caird’s meticulous care in honoring Webster’s themes -- as he puts it in a program note “the growth of a woman’s spirit and independence” and it being a story of “personal growth and emotional evolution” -- doesn’t get in the way of it being a wonderful love story with much the same texture and ultimate audience payoff as “She Loves Me.” Both share the device of correspondents who are clueless that the soulmates to whom they are writing are people they already know. 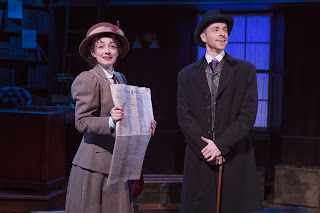 The Davenport Theatre stage is small but David Farley’s richly designed set -- warmly lit by Paul Toben -- serves as Jervis’ study, Jerusha’s school, and myriad other locales, and Farley’s costumes are beautifully evocative. You’re transported to another world for the two hours running time. 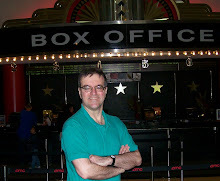 Music Director Brad Haak has done the pleasing small-scaled arrangements and orchestrations. And Peter Fitzgerald’s sound design gives just the right heft without overpowering the intimate space. 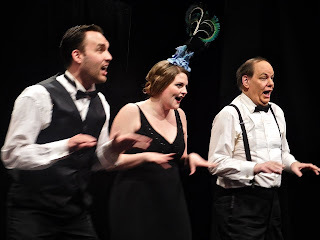 I can’t praise McGinnis and Halpin (Mr. & Mrs. in real life) too much -- they carry a tremendous load at every performance -- and though I caught up with the show well into the run, they seemed as fresh as if the show has only just opened. This is a charming, romantic, and underneath it all, serious-minded, show well worth catching. Generally appealing performances and solid production values highlight this pleasantly oddball musical based on Natalie Babbitt’s beloved young adult novel about 11-year-old girl Winnie (Sarah Charles Lewis), who encounters an immortal family in the woods, bonds with one of the sons, while a villainous character known as the Man in the Yellow Suit (Terrence Mann) tries to purloin the magic waters that gave the family its eternal youth. Casey Nicholaw, who usually traffics in edgier material (“The Book of Mormon,” “Something Rotten,” even “Aladdin”), shifts gears for this rather homespun and certainly fanciful tale, and provides some nice balletic and period choreography particularly a number at the local fair where Walt Spangler’s scenic design and Gregg Barnes’ costumes are at their splashiest. Chris Miller’s folkish music and Nathan Tysen’s lyrics are decent, if sometimes derivative of other shows. Winnie’s musical vocabulary, for instance, seems heavily influenced by Little Red Riding Hood in “Into the Woods,” but she is most engagingly played by Lewis who is, like her character, 11. Carolee Carmello as the Tuck family matriarch makes the strongest impression, but the cast is quite appealing across the board, including Michael Park as husband Angus, Robert Lenzi as brooding son Miles, and Andrew Keenan-Bolger as mischievous Jesse who falls in love with Winnie. Mann makes a convincing villain. And Valerie Wright and Pippa Pearthree are sweet as Winnie’s mother and maiden aunt. The ever-reliable Fred Applegate plays Constable Joe, who is set on the case of finding missing Winnie when she goes missing in the woods. And he and Michael Wartella, who plays his sidekick Hugo, share a jaunty vaudeville-style number. Nicholaw has devised a lengthy circle of life ballet near the end with echoes of Agnes DeMille’s classic story ballets, though you see pretty quickly where it’s going, so it seems to overstay its welcome. The mortality theme and the conclusion that leading a good life being better than forever forever are not too tragic or heavy-handed for those seeking family-friendly entertainment. The music supervision of Rob Berman and music director Mary-Mitchell Campbell is as well crafted as the show’s the other elements. The production premiered at Atlanta’s Alliance Theatre last year. Deep among the indelible memories of my theatergoing life are singer Lynnie Godfrey sprawled on a piano suggestively growling “Daddy” and later, Gregory Hines shuffling onto the stage forlornly singing the plaintive “Low Down Blues” ultimately gorgeously merging with sweet-voiced Ethel Beatty who had just sung her own song about loneliness. The show was 1978’s “Eubie!” a fabulous tribute to composer Eubie Blake, then still very much alive and making the rounds of all the talk shows at the time, as he rode a new wave of fame. Both those numbers surface again in “Shuffle Along,” which takes its title from the groundbreaking 1921 show written by Blake and his partner Noble Sissle, with book by F.E. Miller and Aubrey Lyles. 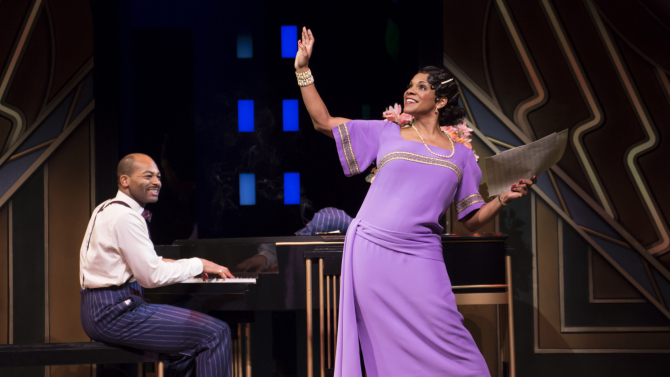 But the new “Shuffle Along” is, as the subtitle states, “The Making of the Musical Sensation of 1921 and All That Followed,” not an actual revival of the original show. Thus, we have, as in so many musical films of yesteryear, a behind-the-scenes story about putting on a show – one with an all-black cast -- against all odds. In tone, it struck me very like the 1999 film “Cradle Will Rock” about the challenging original production of Marc Blitzstein’s opera. A great cast has been assembled here: Brian Stokes Mitchell (as handsome a leading man as ever) is Miller; Billy Porter is Lyles; Joshua Henry is Sissle; and Brandon Victor Dixon is Blake. 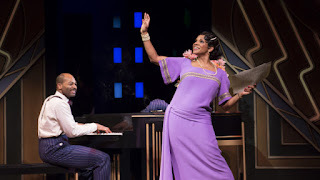 And then there’s Audra McDonald as star Lottie Gee who falls into a long-term romance with the married Blake who simply won’t leave his wife (whom we never actually see). Any concerns that playing Billie Holiday might have damaged McDonald’s lustrous sopranos are squarely laid to rest by her high flying tones here. Savion Glover has created some quite sensational choreography, involving the entire cast including the creators just mentioned all of whom were, in fact, also in the show. Decked out in Ann Roth’s eye-filling costumes and performing on Santo Loquasto’s stunning art deco sets, the show is quite the visual feast. Music supervisor Daryl Waters has done the snazzy arrangements and orchestrations, and they sound splendid. The aforementioned “Eubie!” songs come up sounding very different on this occasion; not better, but different. McDonald, using her legit voice, does a most delightfully provocative “Daddy” minus Godfrey’s pelvic thrusts and growling vocals and Porter offers a powerfully vocalized “Low Down Blues” unlike Hines’ relatively understated version. All these approaches seem valid, and in terms of authenticity, McDonald’s version does, in fact, sound closer to original “Shuffle” star Gertrude Saunders recording. George C. Wolfe has directed with his usual craft and and imagination, but I’m sorry to report that it’s his own book that ultimately lets the show down, not fatally, I hasten to add, for this still a marvelous, must-see show. But I couldn’t help wishing that, like “Eubie!,” it had simply presented the songs in revue style. Annoyingly, the songs are not listed in the program, and indeed some are only heard in fragments. Sometimes the fragment gives way to a full production number; other times not. If they record a CD – which I surely hope they do – it will require some fancy rearranging of the score. The first act leads up to the New York opening – not truly on Broadway but at the 63rd Street Music Hall situated between Broadway and Central Park West. The second act – rumored to be a letdown after the first – actually sustains the entertainment value, albeit with a less certain dramatic arc, dramatizing, as it does, the unfortunate rift between Blake and Sissle and Lyles and Miller, and then offering verbal postscripts to what happened to the characters and when they died. The latter is done in a sardonic, cheerful manner, but it’s an obvious downer. Some scenes are just head-scratchers as, for instance when Lottie, as the temperamental star, takes the young Florence Mills (Adrienne Warren who also plays Saunders) under wing as the latter begins to tentatively warble “I’ve Craving That Kind of Love,” but the expected knock-em-dead moment where Mills proves she doesn’t need Lottie’s coaching doesn’t quite happen. Instead, Mills continues singing, while Lottie just skulks around the periphery of the stage. For all its faults, “Shuffle Along” is second to none for pure, entertainment pleasure. There was little dancing here, and not much of Guy Bolton’s book for that matter in John Ostendorf’s reduction, and the titular heroine now had singing aspirations rather than terpsichorean. The orphan Sally was played with by Carey Mulligan lookalike Emma Grimsley with a nice air of melancholy and quiet determination to better her lot (she is hired as a restaurant dishwasher in the opening scene). Into the café, run by Pops (Richard Holmes who played all the character parts most capably), comes wealthy Blair (a very boyish Alex Corson saddled with an unfortunate hat) and it’s love at first sight when he meets Sally. They sang the show’s hit tune “Look for the Silver Lining” gracefully, and Blair followed this with a stylish “Dear Little Girl” with its “Sally of the Alley” refrain. Before long, theatrical agent Otis (Adam Cannedy) and his girlfriend, manicurist Rosie (vocal and comic standout Claire Kuttler) contrive to have Sally impersonate a Russian countess at a lavish party thrown by Blair’s wealthy father (never actually seen here) after the actual Russian lady cancels her appearance. So, too, Pops’ waiter Connie (Constantine), actually an impoverished Duke from Czechogovenia, will come to the party in full ducal regalia. Sally pulls off the impersonation well (with Grimsley affecting a good Russian accent), and sings the infectious “Wild Rose,” but it isn’t long before Blair recognizes her, and the ruse begins to unravel. The singers were a thoroughly appealing bunch. 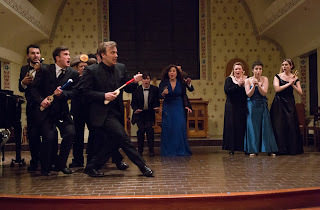 Cannedy’s numbers displayed flair and a good unaffected baritone evident from his first number “On With the Dance,” and likewise, Elsesser, very funny as the duke turned waiter, knocked his big number “The Schnitza-Kommiski” out of the park. Holmes’ most sustained singing came in the amusing trio “The Lorelei” (sung with Cannedy and Kuttler), and he had helpful bits in other numbers, displaying his mellifluous baritone and stage savvy in each. Kuttler and Cannedy delivered another of the score’s hits, “The Church ‘Round the Corner,” and sang it with charm. Throughout, the men provided neat backup harmony when needed. Spare though the production was, director Gary Slavin, expert at this sort of material, made it work. His blocking was always ingenious and apt. Music director Jerry Steichen provided exceptionally fine piano accompaniment, even playing an abridged version of Victor Herbert’s “Butterfly Ballet.” (Yes, the great man was enlisted by original producer Florenz Ziegfeld to supply the lengthy third act sequence.) In a very cute bit of business, Kuttler and Ballenger joined Steichen on the piano bench midway through the ballet and assisted on the eighty-eights. Compact though it was, LOONY’s production had far more integrity than the 1988 concert version which was the unfortunately swan song of the great New Amsterdam Theater Company whose founder Bill Tynes had by then died, and was taken over by new management which, after “Sally,” scuttled the company. The usual modest orchestra for LOONY’s spring show – along with a set and full costumes -- were, alas, casualties of funding limitations. However, it was announced that the forthcoming CD recording will feature one. For now, there exists a quite decent account of the score from Comic Opera Guild with two piano accompaniment. 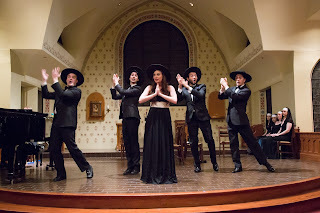 It was rather fitting that the performances took place at Theater 80 St.Marks, a famous movie revival house back in the 1970s dedicated to musicals, where some of Marilyn Miller’s films were screened for the first time in decades. You can see Marilyn Miller in all her glory in the film version of “Sally,” which occasionally gets an airing on TCM, and is available on DVD from Warner Archive. Only three of Kern’s songs were used, but it’s one of the rare instances of a legendary performer whose magic truly translates to film. Her dancing was quite spectacular, but as LOONY’s lovely little production made clear, the quality of the material can do well enough without dancing. My heart sank when the usher handed me a two-page glossary along with the program as I took my seat. But before long, the ear adjusts to those accents and the strange words. And though the play is demanding and, shall we say, leisurely paced, there were no walkouts during the interval. That’s due in large part to the fine ensemble cast of seven (Will Barton, Simon Greenall, Matthew Kelly, Kieran Knowles, Steve Nicolson, Matt Sutton, and John Wark), each of whom totally inhabits his character, so we begin to feel a good sense of empathy, and become much more invested in them as the play progresses. And the casual day-to-day banter of the canteen in which the action is set becomes far more interesting with the appearance of a peculiar local student who, it appears, may not be what he first appears; there is even a suggestion of the supernatural. Director Eleanor Rhode creates a totally naturalistic atmosphere, and dramatizes the camaraderie of the men quite superbly. It’s almost unfair to single out any of the cast, as they are such a fine, tightly knit ensemble, but Kelly is quite amazing as the oldest of the workers (nickname “Nellie”) whose years of toil have made him almost a walking zombie. But taciturn as his character is, you find yourself riveted to his presence. Still, be warned, “Toast” is a far cry from the side-splitting antics of Bean’s wonderful Goldoni adaptation, “One Man, Two Guvnors” which put James Corden on the map when he did it on Broadway in 2012. There is humor here, yes, but of a more understated kind. James Turner’s canteen set – where the workers gather for a smoke or a sandwich -- tells you everything you need to know about the bleakness of their jobs. Mike Robertson’s harsh lighting – dimming ominously twice at key points -- is right on target. And Max Pappenheim’s sound design – the thudding and constant undercurrent of the oven -- never lets us forget where we are. Photo by Oliver King. L-R: Steve Nicolson, Simon Greenall, Will Barton, Matthew Kelly and Matt Sutton in TOAST. 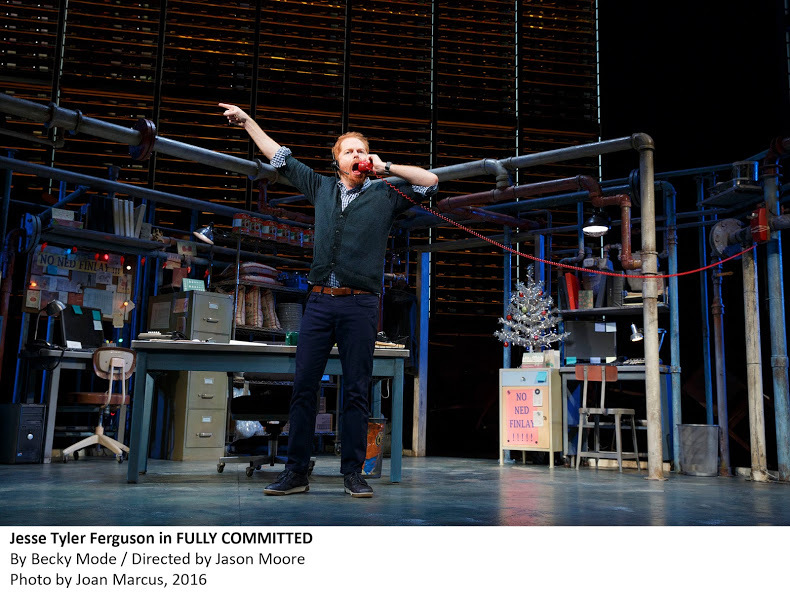 Jesse Tyler Ferguson is extremely impressive as a beleaguered basement switchboard operator at a trendy restaurant. He plays the parts of all the callers, male and female, shifting effortlessly from entitled VIPs (or presumptive VIPs), all of whom are expecting not only reservations but, of course, the best tables, to the restaurant staff upstairs, including the demanding chef, and myriad characters from his personal life, including (most poignantly) his widowed father who’d like him to come home for Christmas. We’re told that for this production, playwright Becky Mode has “updated the play to reflect today’s foodie and restaurant culture,” and certainly the names have needed to be revised from the original 1999 Vineyard production. Thus we now have Gwyneth Paltrow’s office making all sorts of pesky requests, along with more garden variety calls such as the senior citizen complaining that an AARP discount wasn’t honored on a recent visit (and whining that the food wasn’t hot enough). Unfortunately, the play – first done with Mark Setlock (credited with creating some of the characters) -- quickly becomes a mite tedious, for all of Ferguson’s charm and appeal. 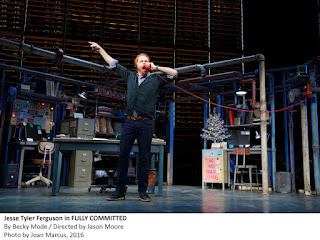 One admires his craft, and the sheer technical feat of sustaining such a frenetic pace for so long, and one can smile at the some of the play’s conceits, but I found laugh-out-loud moments surprisingly few. And for all of Ferguson’s virtuoso skill, in truth it was sometimes tricky to sort out the characters; a few of them sounded too much alike. Derek McLane has designed an eye-catching and colorful, pipe encased basement (lighted by Ben Stanton), though I’m told the Vineyard (then Cherry Lane) original had a more suitably claustrophobic feel. Maybe a Broadway house, even one as intimate as the Lyceum, is just too big. Director Jason Moore blocks his star for maximum visual variety, and makes sure the pace never flags. . The versatile Jessie Mueller, leaving her Carole King persona completely aside, proves again what a savvy musical theater performer she is with her warm, human portrayal of a roadside diner waitress in this likable adaptation of the late Adrienne Shelly’s 2007 film of the same title. 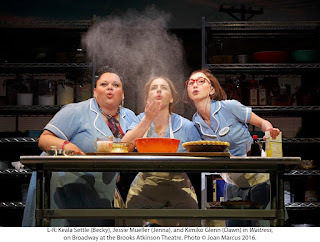 With a country-flavored score by Sara Bareilles and book (which, I’m told, is faithful to the film) by Jessie Nelson, the story concerns Jenna (Mueller), an abused wife with a talent for making scrumptious pies. She's married to the scarily dominating Earl (Nick Cordero), and she falls in love with her married gynecologist (Drew Gehling). 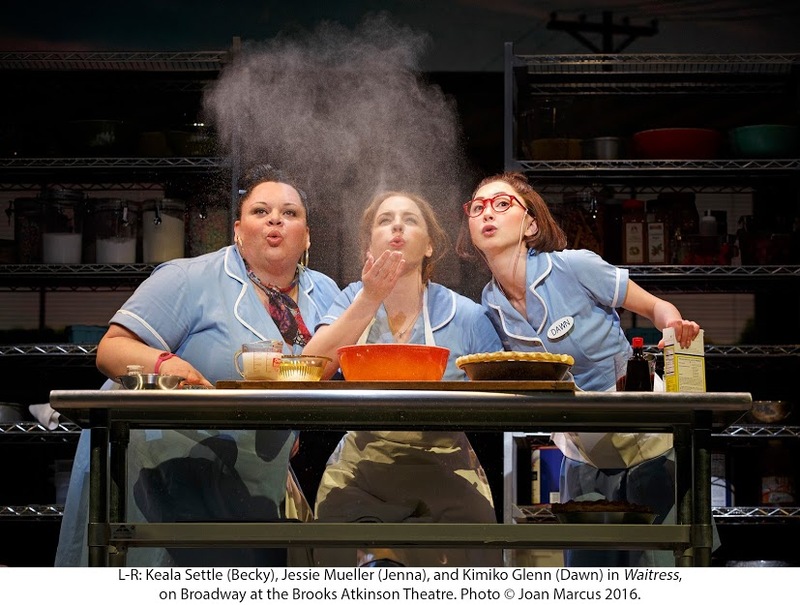 At work she’s supported by her waitress girlfriends, the gutsy Becky (Keala Settle) and the meek Dawn (Kimoko Glenn). They work under the watchful eye of the gruff Cal (Eric Anderson). There’s very good work, too, from Dakin Matthews as an irascible customer who ultimately proves not so unlikable as we think at first. And Charity Angel Dawson as Dr. Pomatter’s sardonic nurse demonstrates great comic delivery. Production credits are all fine from Scott Pask’s colorful set design to Suttirat Anne Larlarb’s costumes and Christopher Akerlin’s lighting. I never saw the film, but there is something a little off-putting from a dramaturgical standpoint. The adulterous affair between Jenna and the doctor doesn't quite set easily though Jenna's motivation is certainly understandable, and there’s a similar subplot with like issues. 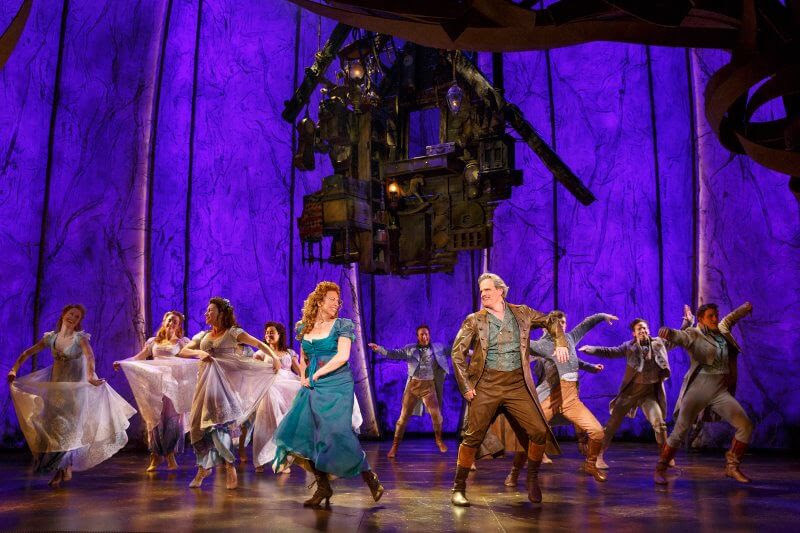 Lorin Latarro has contributed some lively choreography for Bareilles’ more upbeat numbers. One other carp: the lyrics weren’t always intelligible, as when Mueller puts over the eleven o’clock number, “She Used to Be Mine,” which she delivers with considerable passion (not sure if that was the fault of her Southern accent or Jonathan Deans’ sound design). 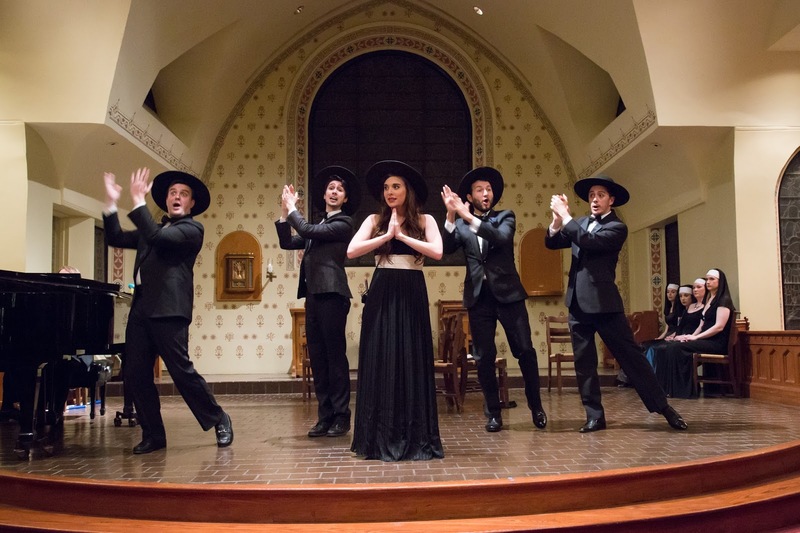 The show premiered at director Diane Paulus’ American Repertory Theater at Harvard last August. Commendably and logically, given the storyline and the film's origins, the top tier of the creative team are all women. 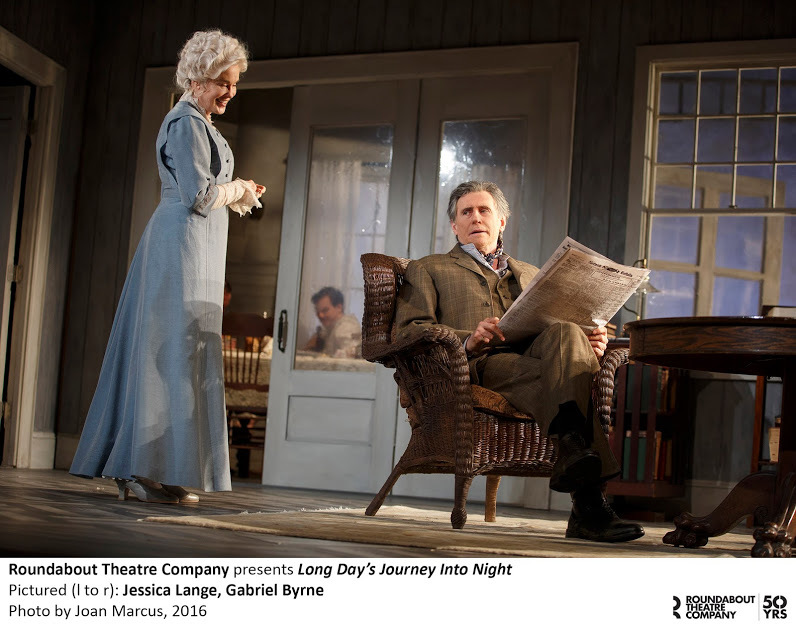 Jessica Lange is at the top of her considerable game as the drug-addicted Mary Tyrone in Jonathan Kent’s powerful revival of Eugene O’Neill’s towering posthumous semi-autobiographical masterpiece. It’s the sort of performance that set me pondering parallels to Laurette Taylor’s legendary performance in “The Glass Menagerie,” one often cited by those who saw it as the best they had ever seen. As it is, I do feel Lange’s performance ranks in my personal Top Five. The play is over three and a half hours long, and she is onstage for nearly all of it, not making a false move as she transitions from loving mother and wife to needful addict resentful of her family’s suspicions and oh-so-piteously lonely in the shabby summer house (evocatively designed by Tom Pye) that her penny-pinching husband has provided for them, one she has never felt to be truly a home. Lange makes one feel her desperate plight as never before, and from a technical point of view, her acting is quite remarkable. Her line readings always seem so right, and there’s an innate musicality in her accomplished delivery. She is not acting in a vacuum either. 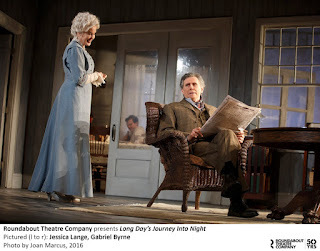 Gabriel Byrne as husband James Tyrone, a once promising actor who has long abandoned his artistic aspirations for a popular role with which he endlessly tours the country, plays him as less hamily theatrical than some, and conveys his deep love of Mary, despite her flaws, most beautifully. His Irish heritage gives the role a wonderful authenticity. As sons Edmund (the Eugene O’Neill prototype) and wastrel Jamie, John Gallagher, Jr. and Michael Shannon are very fine, and do superlative work with their last act set-pieces. Colby Minifie has a good turn as the maid Cathleen who shares a lengthy scene with Mary. One marvels again at what a terrific play this is, and how expertly O’Neill captures the rhythms of how people really talk: argumentative and hurtful one moment, conciliatory and loving the next. Jane Greenwood’s costumes, Natasha Katz’s lighting, and Clive Goodwin’s sound design (with its repetitive distant fog horn) are all tops. If you think you’re not up to sitting through yet another production of this particular play, I’d urge you to think again. In spite of its length, the play never ceases to hold your rapt attention, thanks to Kent’s well modulated helming and, in fact, flies by far faster than the 55 minutes of this season’s unfortunate revival of O’Neill’s “Hughie”! 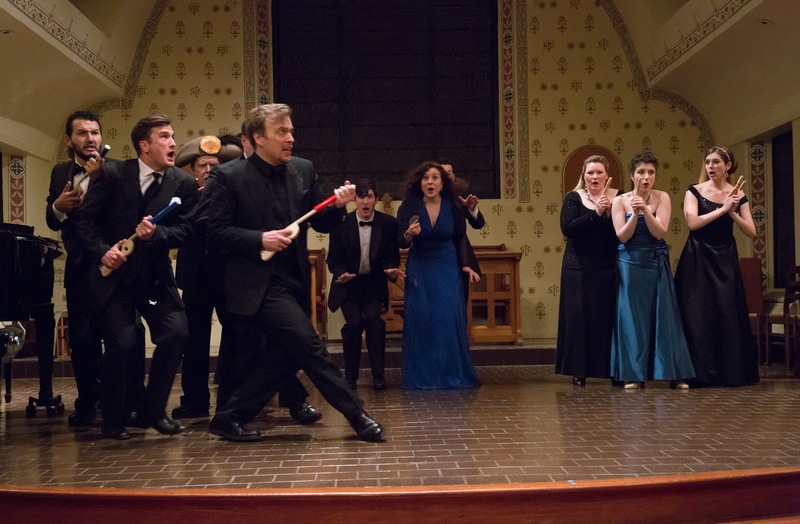 Alyce Mott’s enterprising group, dedicated to rejuvenating the works of the multi-faceted composer, in fact performed the last named in a condensed version in March. But now, the company has revived one of the lesser known works, the 1897 “The Serenade,” one of Herbert’s first hits when it was performed by the esteemed Bostonians light opera company and starred an ambitious young soprano with a bright future called Alice Nielsen. At the time the show was praised for its uncommonly fine score, and generally humorous book and lyrics (by frequent Herbert collaborator Harry B. Smith). It’s a wonder then, that unlike some of Herbert’s other works, hardly any of the songs have gotten much of a hearing either in concerts or recordings, surprising as there are some quite delightful ones here. This is said to be the first revival of the authentic version in over 100 years, not counting a considerably altered 1930 revival which had a brief run along with four other Herbert works on Broadway. The setting is Spain, and the action concerns a group of bandits who call themselves the Royal Madrid Brigands Association, Ltd. Their leader Romero (Matthew Wages) leads a double life as a monk on alternate days to atone for his bad deeds the rest of time with his comrades. The allegedly haunted castle on which they have cast their sights is about to receive a new tenant: a near-sighted Duke (David Seatter) and his ward Dolores (Vira Slywotzky) on whom he harbors romantic designs. But Dolores loves operatic baritone Alvarado (Bray Wilkins) who won her heart when he first sang the titular serenade to her. He is now part of the Duke’s retinue posing as a postillion. Onto the scene comes Yvonne (Natalie Ballenger in the Nielsen role), her father Columbo (Glenn Seven Allen), a former tenor from the opera, and Gomez (Brian Kilday), a tone-deaf tenor who hopes to woo Dolores himself with the serenade. Yvonne loves Lopez (Stephen Faulk), part of Romero’s gang. Farcical complications arise in the second act which is set in the monastery where Alvarado hopes to connect with Dolores, now temporarily enrolled in the adjoining convent school, while Yvonne plans to trap the fickle Alvarado who once jilted her. The strong-voiced cast gave an excellent account of the score, and though Herbert’s marvelous orchestrations (some of which were heard in a 1998 Little Orchestra Society Herbert concert under Dino Anagnost) were missed, ace pianist William Hicks provided solid musical accompaniment, by turns rousing and tender. The whole was authoritatively led by Music Director Michael Thomas. Some of the lyrics were inevitably lost in the reverberant church acoustic, but diction was, for the most part, reasonably clear. Unlike “The Fortune Teller” and some of the other pocket versions Mott has presented, this one was reasonably complete apart from the Act II finale, and some trimming of the Act I finale. There was even an interesting restoration: Romero’s legend of the haunted castle, which was intended for the final act, but which Mott sensibly moved to the first. 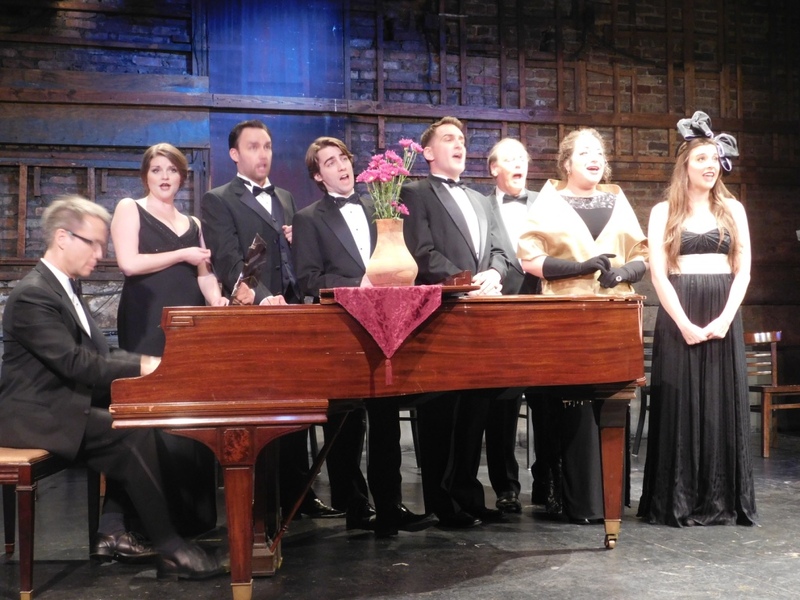 The musical highlights -- all superbly delivered by the cast -- were many. Wages “Song of the Carbine”; Ballenger’s infectiously catchy “In Fair Andalusia” sung in delightful counterpoint with the monks; her “Cupid and I” with its impressively vocalized cadenza; Slywotzky’s moving “Angelus” (different than the one in Herbert’s “Sweethearts”); Seatter’s impish “Woman, Lovely Woman”; Faulk’s sweetly vocalized “I Envy the Bird”; a deft quartet; the infectious “Don Jose of Seville” (with its catchy “pif paf” refrain); and, of course, the title number first sung in duet by Wilkins and Slywotsky, then reprised in various guises including off-key by the humorous Kilday as the hapless Gomez, and even by the monks as a chant. The second act, in particular, featured one good tune after another. There were some interesting echoes of other operettas with which Herbert was clearly familiar. Romero’s haunted castle song bore echoes of “The Ghosts High Noon” from “Ruddigore,” and the Duke might have walked in from a Gilbert & Sullivan opera, too. The situations in Harry B. Smith’s book were not exactly what you’d call hilarious. In truth, as one of the original reviews noted, “some of the [tomfoolery] was foolish without being funny.” But it all registered as good-natured fun. Next season will have a distinctly Irish theme leading up to a gala production of his gorgeous Irish operetta, “Eileen.” on the occasion of that work’s centenary, with another Herbert rarity promised: his 1915 “The Princess Pat” (with an Irish heroine), and what sounds like a fascinatingly eclectic program of Herbert’s Irish-flavored songs.